Do you tire of reformatting your computer so that it can be set up with the prescribed environment determined by your superior or client? How about the hassle of making sure that there is a backup copy of your past project? Is quality assurance testing a pain because you have to reset your environment over and over again? Well I did tire of that hassle. And I also tired of having to run my computer on a specific OS, just because that was what the task prescribed. So I went out and used a few proven tools to remedy the situation, which will be what this guide will be all about. Are you one of those people who would almost like to switch over to Ubuntu but just couldn’t because you don’t quite like great open source games such as Glest, Sauerbraten and Tremulous? 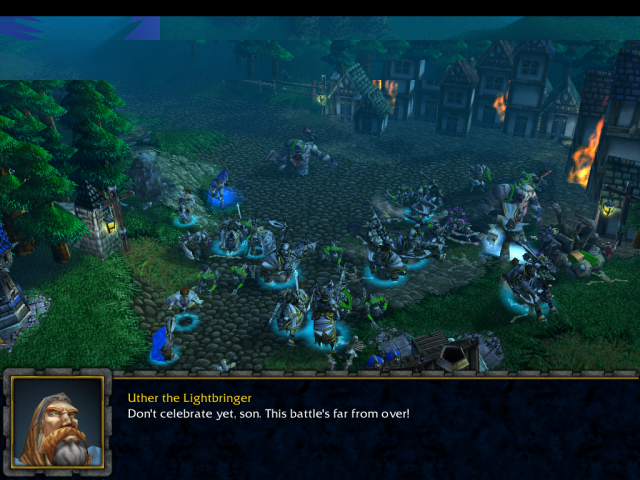 In today’s post, here’s one more reason for you to do so: Now you can play Warcraft III, Frozen Throne, and also Defense of the Ancients, or more commonly known as DOTA! Ok, so that’s 3 reasons…but since DOTA is just a custom map for Frozen Throne maybe 2 and a half…anyway…let’s get started. I bought myself a new mouse a while back. It’s an Okion Mokoto retractable optical pocket mouse for my laptop. The shape and size was just right, and unlike other retractable mice, the cord retracts inside the mouse, so there are no dangling wires. It’s no expensive fancy-dandy mouse, but it does its job well. Hey, who really needs a mouse with two mouse-wheels and a double-click button anyway. One thing that caught my eye though are the three OS-capable logos on the box. Yes, three. No longer are products only”Windows compatible” or “OSX compatible”, they’re now also “Linux compatible”! While that may sound good for Linux users, it is quite silly to me to hear these marketing ploys; it’s a well-known fact that standard mice and input devices like these (as well as a wide range of hardware) has long been supported by (and many times perform better in) Linux for a long time, and you won’t need any driver discs either (I do give them credit: the Linux logo most likely means they actually did some testing in Linux). It’s almost as silly as seeing a USB extension cable labeled “Vista compatible”. It’s a piece of wire! It’s no more OS-compatible than your wall outlet is “electricity compatible”!